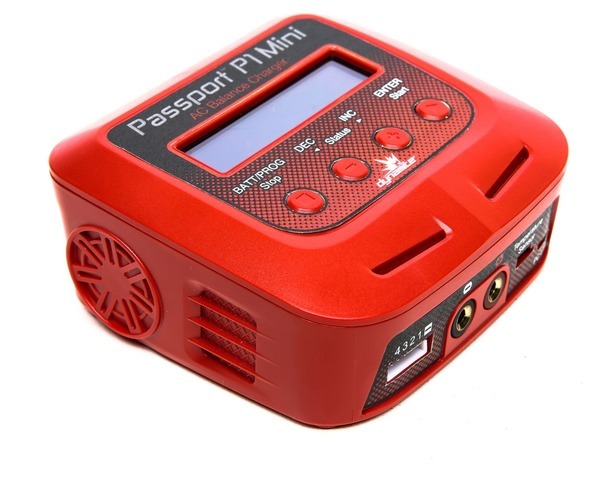 The Dynamite Passport P1 mini-AC Input Balance Charger/Discharger is ideal for anyone that wants to spend less time charging and more time enjoying their hobby. This affordable, durable and full-powered AC charger can be utilized for surface, air and marine RC charging purposes and features a wide range of selectable charge currents to fit your batteries needs. Compact and stylish, the P1 gets you back doing what you enjoy most. Plus, its backed by a Dynamite 5-year limited warranty.